much support to their global conservation efforts ever since. See for example the 2008 IUCN Best practice Guidelines and the 2008 resolution and 2012 recommendation adopted at the IUCN World Conservation Congresses. Session: 17 Nov, 1:30-15:00, place t.b.a. This is the first part of a two-part session, focusing on the latest, innovative strategies for protecting indigenous sacred natural sites and territories (SNS&T). 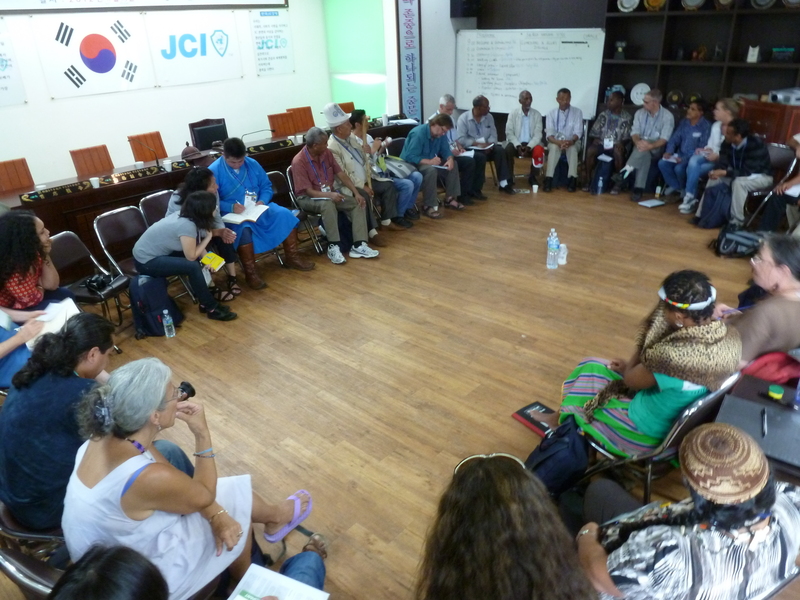 Indigenous people – from bio-cultural landscapes as diverse as the Altai, Kenya, Guatemala and Hawaii – will share their experiences and spotlight practical tools and best practice working hand-in-hand with protected area authorities. Session: 17 Nov, 15:30-17:00, place t.b.a. The second part of this two-part session brings together remarkable and courageous stories of indigenous and local community resilience and other approaches (e.g. WILD10 Resolution on No Go Areas) to ensure that sacred natural sites and territories (SNS&T), World Heritage Sites, and all categories of protected areas remain off-limits to mining, extractive industries and other potentially destructive development activities. Side Event: Date, time and place t.b.a. The session will have an introduction to the growing network on Asian Sacred Natural Sites and continue with a soft launch of the publication: “Asian Sacred Natural Sites: Philosophy and Practice in Protected Areas and Conservation” followed by presentations from chapter authors. Many sacred natural sites have often been the foundations for protected areas and World Heritage sites and inform conservation practice and ethics. This session will explore the links between our health and wellbeing and that of sacred nature. The session covers elements of science, traditional knowledge, policy and practice. Cultural and Spiritual Significance of Nature in Protected Areas Management and Governance [download programme, have a look online]. Workshop – Stream 7: – Tuesday Nov 18th; 10.30 – 12:00; Room t.b.a..
A Participatory workshop bringing protected area managers together with representatives of Indigenous Peoples, mainstream religions and the general public to establish a network and develop training modules and other measures to promote and integrate the cultural and spiritual significance of nature into protected area management and governance. Side Event – Stream 7: date; time; room t.b.a. Developing WCPA Best Practice Guidelines and a network on cultural and spiritual significance of nature in protected areas management and governance. With the aim to develop guidelines we seek case studies and examples from field experiences with cultural, historic, social, spiritual, religious and aesthetic significance of nature in protected areas.